The Constitution of the United States of America is the most important legal document ever created. This document recognizes that every person has certain rights, arising from God or from nature, and specifically and unequivocally protects those rights from the acts of persons acting under the authority, or apparent authority, of the government. The Civil Rights Act of 1964 gave every person the right to sue a governmental agent or entity when that agent or entity engaged in “objectively unreasonable” conduct, negatively impacting a protected right. If your constitutional rights are violated, you must have a lawyer who is trained and experienced in civil rights litigation and who has a proven track record of success. Very few lawyers have ever filed or will ever file, a civil rights claim. These cases are subject to exacting pleading requirements, well beyond those required in other areas of complex litigation. The government has defenses, such as qualified immunity, which are not available to defendants in other civil cases. Section 1983 cases are often against law enforcement officers and other governmental agents, who are given significant initial credibility by jurors. 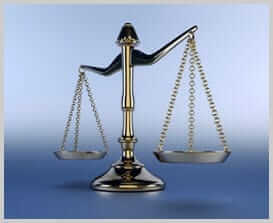 Section 1983 cases are always defended by the very best and largest law firms. For more information or to schedule a consultation, call me, Lewisburg civil rights lawyer Rob Frank, at (304) 520-0702 or fill out the contact form on this website.